Overcoming Reluctance – Relocating one’s self – and in some cases one’s family – to a new, unfamiliar location can be a stressful, frightening experience, regardless the financial opportunity. A recent Worldwide ERC study evidenced that “Family resistance to move” was cited as the overwhelming reason why candidates were reluctant to relocate. How can a human resources department, that has already spent a lot of time and money searching for the right candidate, ensure that an offer that includes relocation is accepted? How can they take the anxiety out of moving? Pre-decision solutions are designed to assist both the employee and the company in determining the benefits and challenges of a potential relocation and overcoming reluctance. First, a mobility management company engages the candidate or transferee early in the process. Since mobility management companies are not bound by the same EOC rules that apply to human resource departments, they can ask more specific questions about lifestyle and family. This creates a complete picture of what would make the transferee comfortable in a new setting. 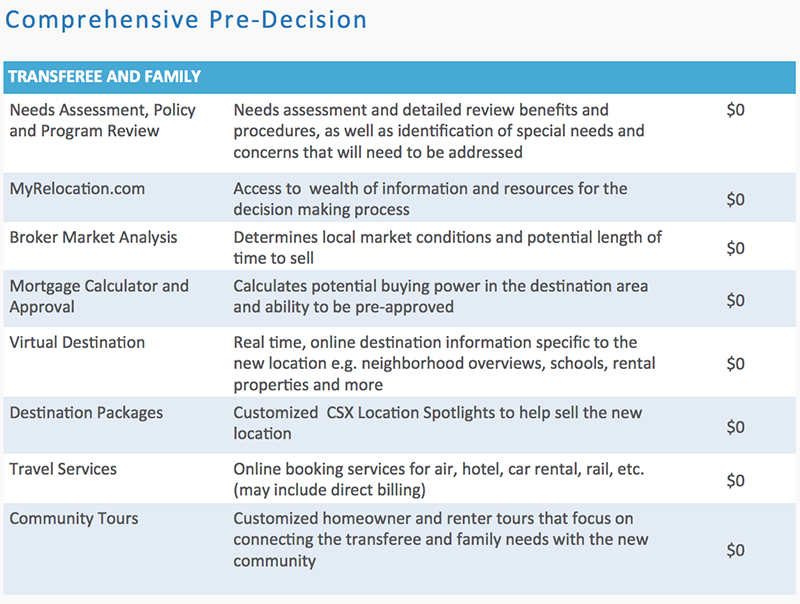 This can include information about schools, shopping, activities, desired commute, and much more. Because the process includes questions that go beyond job performance, spouses and families feel more involved with the relocation process. The mobility management company further reduces stress by arranging community tours, housing information, and cost of living analyses. A pre-decision program can remove all the unknowns – generating positive excitement for the transferee and overcoming a family’s resistance to move. For the company, pre-decision solutions are proven to increase offer acceptance and decrease time to acceptance. 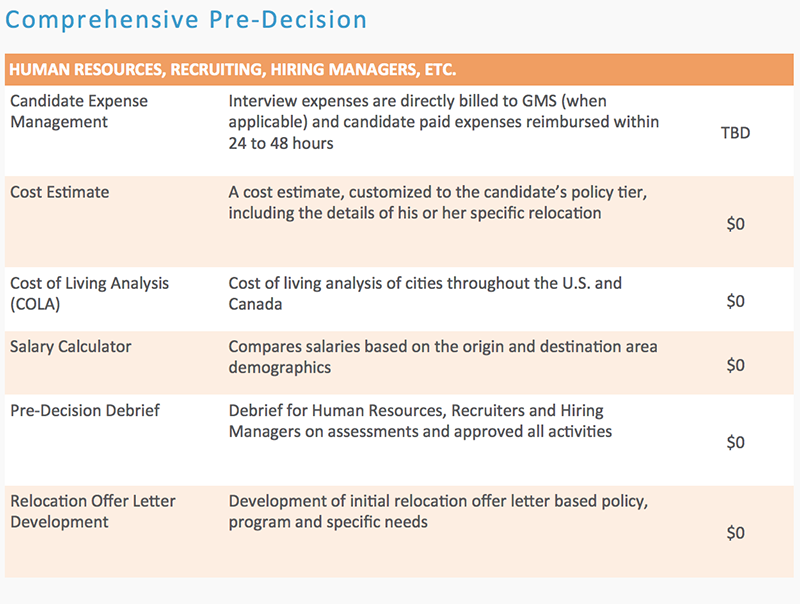 Additionally, because of built-in programs like Candidate Expense Management, the final cost of relocation have been shown to be less when utilizing a pre-decision solution. The Program Manager of Talent Acquisition at Providence Health and Services said of her experience with pre-decision, “By initiating relocations prior to the face-to-face interview, we know that transferees have arrived more quickly, have settled better, and stayed longer.” What more could a human resources department want?